A day of Fabulous Festive Flying. No soaring on offer but the views were simply stunning. 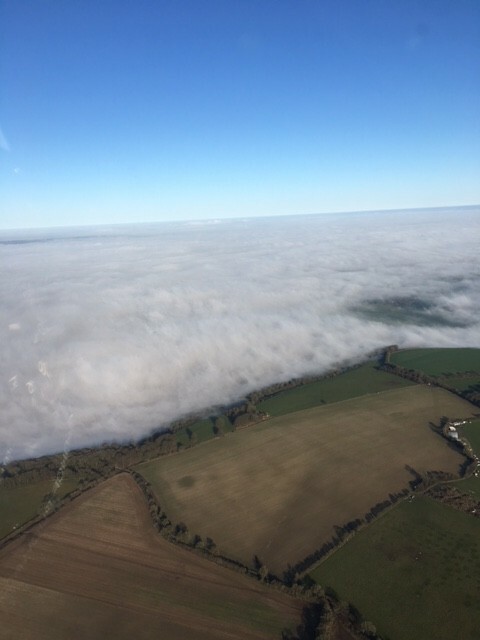 With fog in Newbury, all along the A4 and through Hungerford the prospect of flying seemed fairly low but driving up the hill from Shalbourne one emerged from the fog into sunshine and a clear blue sky. 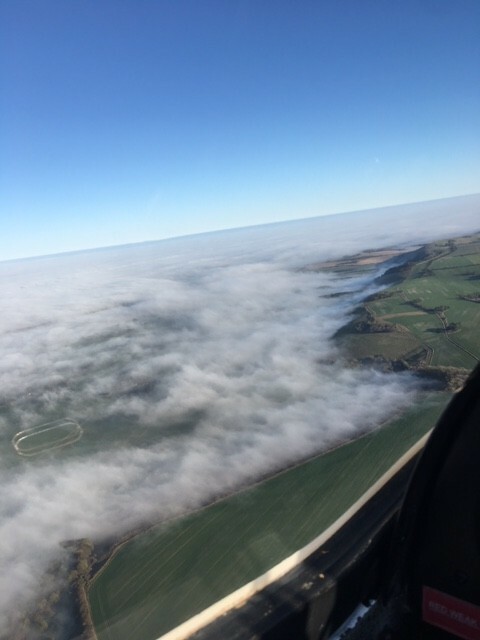 From the air the extent of the fog could be seen and more than one person commented that it was rather like being at the seaside (hm, can’t say I’ve noticed green beaches anywhere else). Here’s a taste of the views (photo’s by Jeremy K). Despite the light SSE wind (on the ground) there were reports of launches to 1,900′ in the K8 and 1,700′ in a K13. Only 2, of the 25 launches, went into double digit flying time. Rob J’s 11 minutes pipping Paul B by a minute to take longest flight honours. We were pleased to welcome a couple of visitors from other clubs. Tim (son of Adrian N) from Bristol Uni Gliding Club (based at Nymsfield) and Chris from The Park. 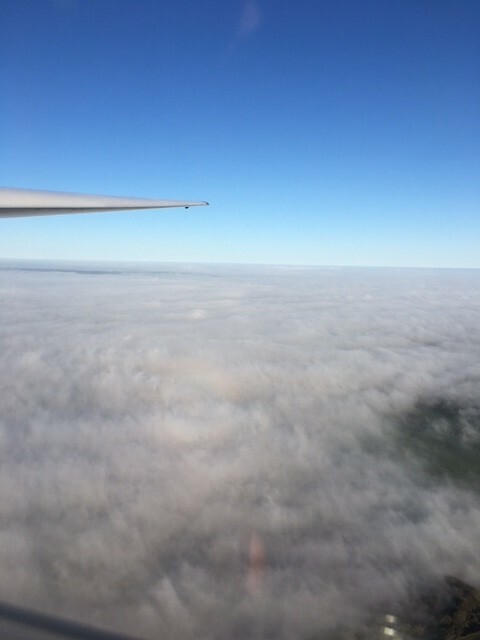 It being a Wednesday eatable goodies appeared – mince pies from Adrian N (just to remind us of the season) and a delicious home made cake from Tony P.
Misting forced an end to flying before we ran out of light. 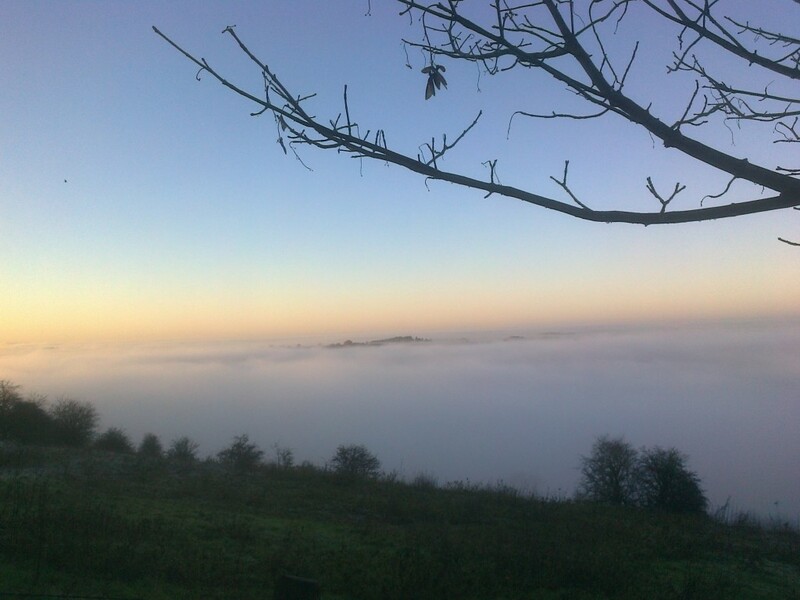 After packing the toys away it was time (for some of us at least) to descend into that blanket of fog. Colin B paused on the way home to capture one last memory of the day.